What Happens After 911 is Called? When an emergency occurs, the first instinct is to call 911. This is always a best practice, but after it’s called, how does an organization alert the right people that the event has occurred? Being able to direct a response can sometimes mean the difference between life and death, and no one wants to be surprised by an ambulance or police car showing up outside their building. We’ve outlined best practices for what organizations should do after 911 is called in a recent blog post, and we offer a 911 alerting functionality with our InformaCast emergency notification software. 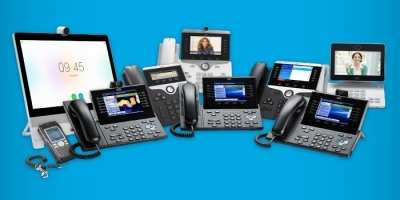 However, that isn’t the only option on the market, and as a Cisco partner, we are often asked what the difference is between InformaCast CallAware and Cisco Emergency Responder (CER). In this blog post, we’ll outline the differences between CER and InformaCast CallAware so organizations can understand which is the best fit for them. 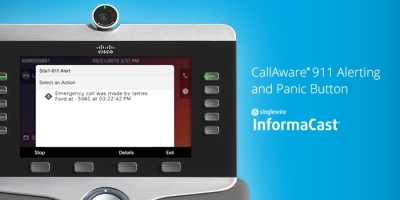 InformaCast CallAware can provide instant notification when a phone within an organization dials an emergency number, such as 911. The moment a person dials the emergency services number, InformaCast can alert onsite first responders. This alert can include the calling number, phone device name, phone description and the date and time of the call. InformaCast can record the call and provide onsite first responders with a link to listen to the call in real time. InformaCast can ask onsite first responder to confirm they received the message and are responding to track the response in real time. InformaCast can help onsite first responders collaborate by joining them to a conference call or Cisco Webex Teams space. Pre-recorded audio or documents with emergency response procedures can be included to assist first responders. InformaCast can notify a reception or security desk at the building entrance to expect the arrival of police, fire or ambulance services to help guide them to the proper location. While the monitored number to alert and record does not have to be an emergency services number, this tends to be a common example in many environments. InformaCast can send an alert when any number is dialed. CER fulfills a specific need: e911. It maps an Emergency Response Location (ERL) to an Emergency Location Identification Number (ELIN). Put more simply, CER maps a location to a telephone number. CER changes the outgoing Caller ID to the appropriate ELIN before sending the call to the PSTN and the Public Safety Answering Point (PSAP). The telephony administrator has previously mapped the ELIN's to ERL's with the telephone provider or a third party, so the 911/PSAP operator sees the proper information. CER dynamically knows the locations of phones based on the connected switch port or subnet. In this way, CER relies on network cabling, devices and configuration to know the location of a phone placing a 911 call rather than on the phone itself, which might move around the organization. CER can perform basic onsite notification. 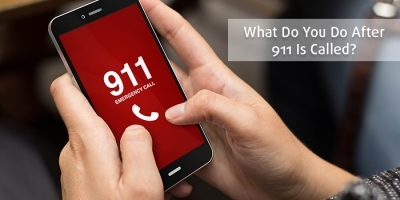 When a 911 call is placed CER can call a configured phone or set of phones and play an audio prompt announcing the 911 caller’s extension or send an email with the caller’s extension and ERL name. Security personnel who receive the alert can log in to a web portal to view the call details and acknowledge the 911 call. So back to our original question, what is the difference between CER and InformaCast? CER can send basic notifications via a phone call or email. InformaCast’s rich notification capabilities allow it to quickly notify key personnel via many methods, confirm their receipt of the notification and assist with organizing the response. See our any-to-any graphic for more details. 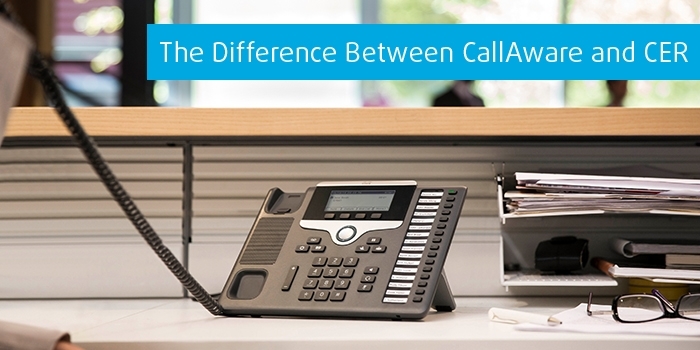 Both solutions can share the calling number, device name and time of the call. CER can also provide location information dynamically based on the phone’s location in the network. InformaCast provides the phone’s description field in CUCM, which can be used to share location information. However, this is based on the administrator populating the information in CUCM and does not change dynamically if the phone moves to a new location. Instead of a phone call being placed with the alerting message when 911 is called, InformaCast can page to a specified zone. CER can change the calling party number to match the appropriate ELIN when sending the call to the PSTN. This allows the PSAP to receive additional location information when they receive the call and may be required for e911 compliance. InformaCast does not modify the calling party number of the 911 call in any way. The best part is that InformaCast and CER can co-exist. The two tools’ features complement one another to provide the best all-around solution for 911 alerting. Reach out to our team for more information about how 911 alerting software can be utilized in your organization. Will my phones work with InformaCast emergency notification software?